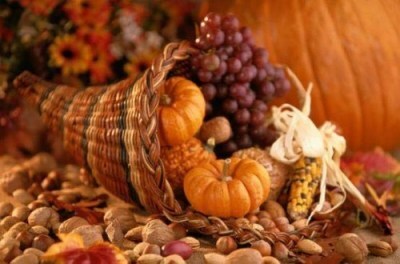 New Dimensions Tabernacle - Empowering People to Live Empowered Lives - Everyday is a Day of Thanksgiving! Everyday is a Day of Thanksgiving! From the time we were mere�toddlers, we were taught that it is most appropriate to express our gratitude to someone when they�ve done something for us.�Before we could properly form sentences, we learned that�there�are benefits to us simply saying "ta-ta". Yet, many of us now fail to express our gratitude and appreciation to God for the multiplicity of blessings he's bestowed upon us. He continually blesses us, even when we are so�undeserving. His love is offered to us unconditionally. We�are the recipients of his grace and mercy on a daily basis. For that alone, we should be grateful! For many,�2007�has been a trying�year.� Many experienced great hardships and disappointments. Some lost loved-ones, while others suffered�illnesses and had their material possessions destroyed by natural disasters.�For them, it would seem natural to�question whether they have anything to be thankful for. �The fact is if you are�alive,�you have reason to be grateful! If you have the activity of your limbs, you have reason to say, "Thank you! "�Whether this year has been filled with triumphs or trials, we all have so much to be grateful for. As�you pause to observe Thanksgiving,�make a personal commitment to give credit where it is properly due.�Do your�part not to just celebrate out of ritual or routine. Do something that lets the Lord and the world know that you are grateful!